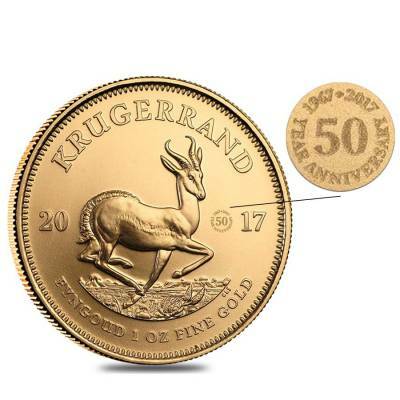 This fabulous 2017 South Africa 1 oz Gold Krugerrand BU is a special edition of the famous gold bullion series, carrying an exclusive privy mark that celebrates its 50th-anniversary. 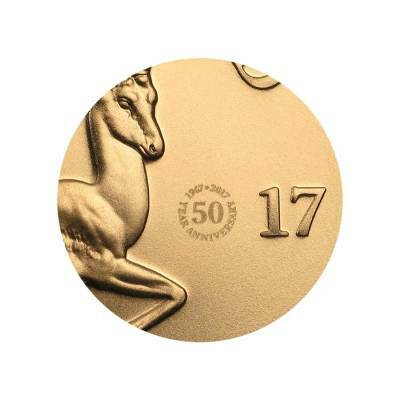 Produced from 22K gold, this magnificent coin is a treasured keepsake and a gorgeous addition for any passionate numismatist. 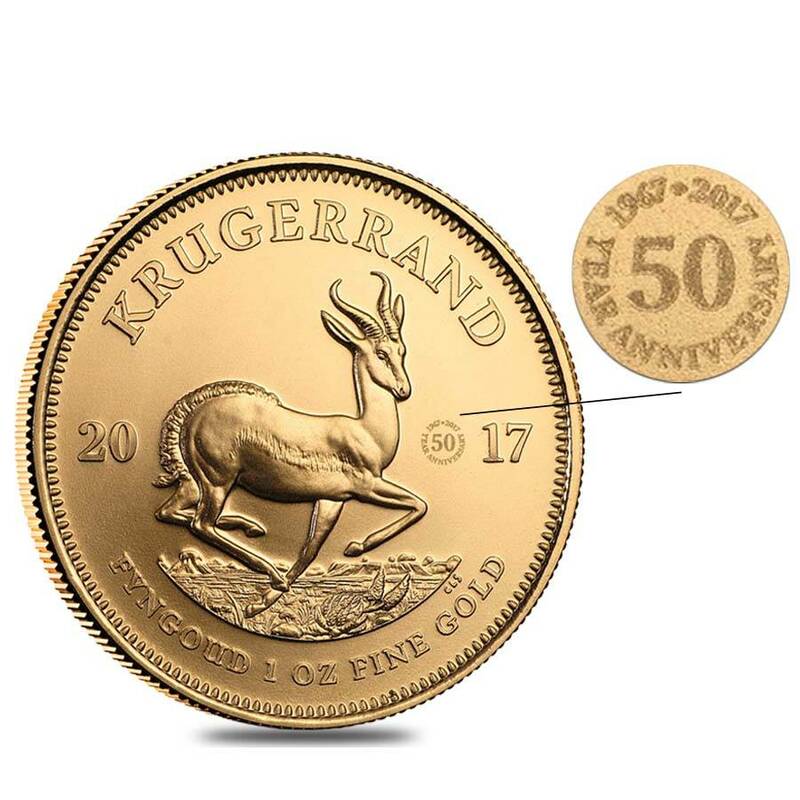 Being the first gold bullion coins released on the industry market, the Gold Krugerrands were introduced to help promote the South African gold, and by 1980, these thrilling coins already accounted for 90% of the gold coin market. These prominent coins were named after the South Africa’s first president, Paul Kruger, and the currency unit of the country - rand. The Gold Krugerrands contain 1 troy ounce of pure gold, yet are produced from .9167 fine gold. This internationally renowned symbol of prestige and wealth doesn’t carry any face value. Thus, its price is established solely based on the current market price of gold. This Gold Krugerrand 50th Annv. Privy coin is an exclusive issue of the series which bears the special 50th-anniversary mark, making it an exceptional addition and a state-of-the-art gift. Special 50th-anniversary privy mark edition. Made from 91.67% pure gold with a weight of 1 troy ounce. Offered in a plastic flip. The SA Mint assures the purity and weight. 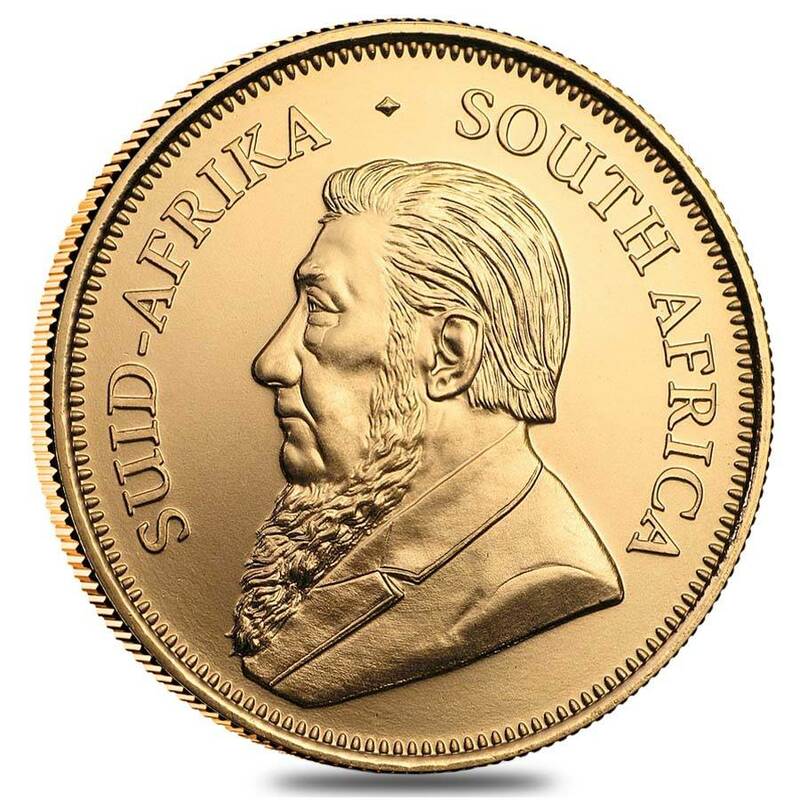 Obverse: Represents the profile image of Paul Kruger, the renowned South African President, framed by the words “South Africa” written in Afrikaans and English. Reverse: Showcases the astounding image of a Springbok antelope, the beloved South African wildlife symbol, encircled by the inscriptions “Krugerrand”, “2017” along with the purity and weight of the coin, as well as the 50th-anniversary privy mark. Bullion Exchanges is proud to offer you the chance to own high-quality, iconic gold bullion coins. Order this astonishing coin simply by clicking on ‘Add to cart’ and you will have it thoroughly wrapped, packaged and shipped to you. If you have any questions, just write us a message or give us a call at 800.852.6884, and we will happily assist you. 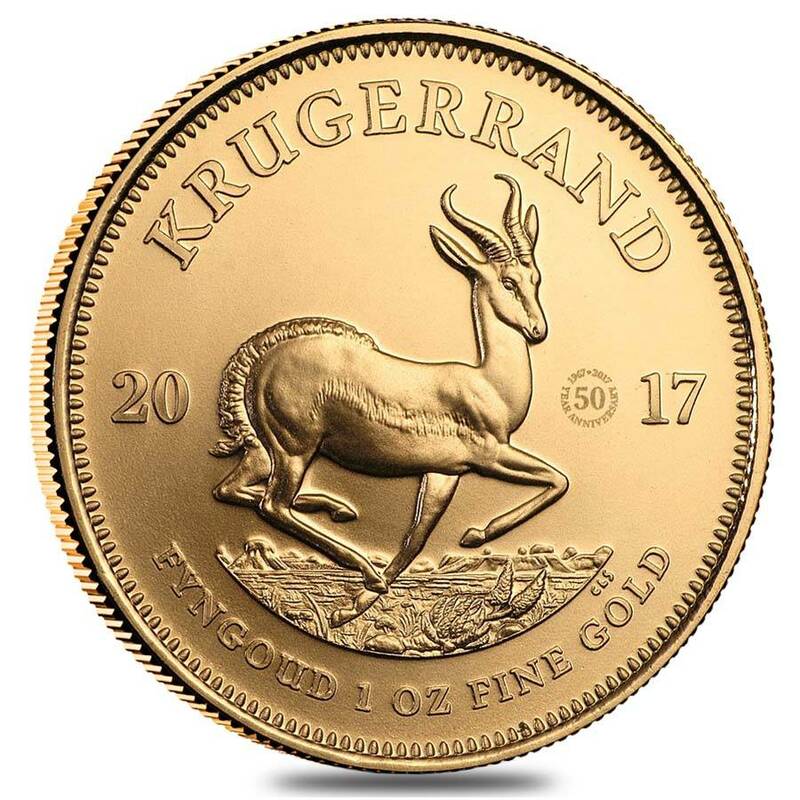 Get this impressive 2017 South Africa 1 oz Gold Krugerrand BU today! Thank you so much for the great prices! 50th anniversary coin is worth to be added to any collection. Stunning Krugerrand. I'm a huge fan of all special collection dedicated to mint anniversary or anything like this. Thank you Bullion Exchanges, one of the best prices on the market. I received my first 1 oz Gold Krugerrand. The whole process with BE was very very easy and safe. I collect all the anniversary coins, I love the numismatic value of them. 50th anniversary Krug is the coin I wanted the most! Special, beautiful and limited edition! Perfect addition to my portfolio. Proud owner of the last seven Krugerrands. This year is really special, so I'm happy to grab it before it gets sold out. Best price as usual, BE! I've waited for this coin for three months! I've been collecting Krugerrands for 10 years and I'm very excited to own this anniversary edition. Now waiting for platinum and silver coins!!! With this purchase, you earn 1383 Bullionaire Bucks 1383 BB = $1.38.